We all have that special woman in our lives that deserves to know just how important she is. Maybe she is your bestie, your sister, your mother, your mentor or maybe you’re a dude that landed on my site in hopes of finding a gift for your sweetheart. And, if you’re anything like me, you want to show her what she means to you, all while staying within your budget. 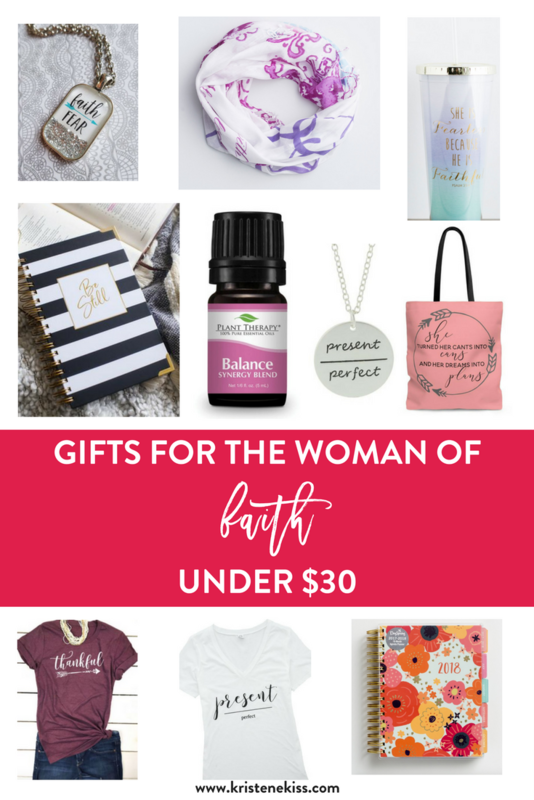 This is why I put together this fun gift guide for the woman of faith with gifts that are $30 or less. Take a peek at my favorite budget-friendly gifts and have fun shopping. All of the links in the gift guide are affiliate links. If you purchase through these links it will help support my ministry and my family. This short sleeve polyester t-shirt is sure to show the special friend in your life just how thankful you are for her. When she wears it, she will have the opportunity to tell others exactly Who she is thankful for. I personally am thankful for a Savior who would give up His life for mine. How awesome would it be to wear Jeremiah 31:3 around your neck to remind the world that there is everlasting love freely given to them. The recipient will have fun accessorizing with this stylish scarf that she can wear with a coat or with an everyday outfit. This tote is perfect for the on-the-go woman with determination. She can use this bag to carry her Bible study materials, her workout clothes, or anything else she may need as she goes about her day. Show her how proud you are that she is pursuing her dreams and has turned her can’t into cans only through the power of the cross. This necklace is handcrafted by a homeschooling mama who truly put her faith above her fears. The woman of faith in your life won’t be disappointed with this sparkly necklace that shows everyone how important her faith is to her and how she is choosing to live a life of faith over a life of fear. Check out the hundreds of designs in The Faithful Merchant shop. Being present is so hard with a busy life that includes kids, work, chores, school and maybe even running a business. Choosing present instead of perfect has been a hard lesson for me to learn. Sometimes we can get so caught up in thinking that what we do needs to exude perfection when all our friends and family really need is for us to just be present. 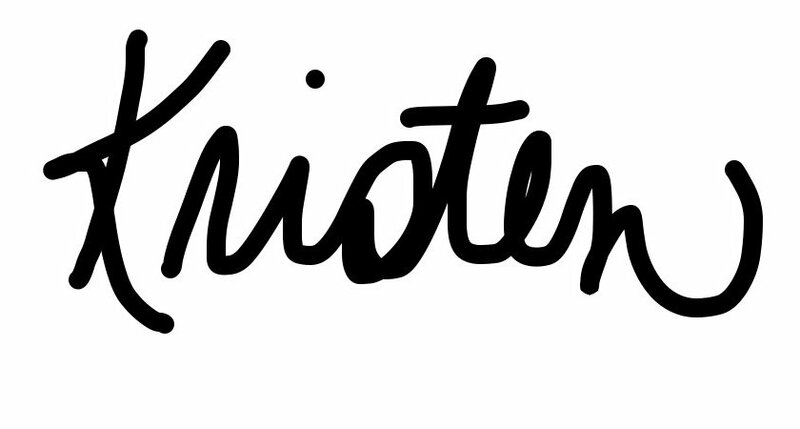 Wear this declaration loud and proud and join me in being present over perfect. You can also check out the book here. What else goes better with a cute v-neck present over perfect t-shirt than a present over perfect necklace. Pair these 2 together for the perfect casual outfit. The woman in your life will enjoy knowing that you support her in her journey towards leaving the past behind and forging forward towards a more peaceful, simpler future. Present Over Perfect is an invitation to a journey that changed Shauna’s life. She walks this path with you, a path away from frantic pushing and proving, and toward your essential self, the one you were created to be before you began proving and earning for your worth. In these pages, you’ll be invited to consider the landscape of your own life, and what it might look like to leave behind the pressure to be perfect and begin the life-changing practice of simply being present, in the middle of the mess and the ordinariness of life. This ‘Fearless’ Christian insulated tumbler with straw is perfect for on-the-go and fits in most vehicle cup holders. With its dual-walled insulation, the inspirational travel tumbler has no condensation with cold drinks nor is it too hot to hold when filled with warm drinks. A wonderful gift for any occasion. She is fearless because He is faithful. This 15oz mug is the perfect gift for your bff. We all need a reminder once in a while that we truly are daughters of the King. This mug is microwave and dishwasher safe and is perfect for a morning cup of coffee or evening cup of tea. This is one of the most beautiful and well planned out prayer journals I’ve ever seen. Your friend will love the journaling prompts of being still, abiding, adoring and applying. Immediately upon purchase, you will be emailed a digital guide “Studying the Bible Intentionally” that you can print and use immediately. This guide includes instruction on how to intentionally study God’s Word as well as a reference guide that is great to keep with you as you study that gives practical tips, questions to ask, things to look for, and other helpful tips to use as you study. Designed with beautiful colors, this bold floral print 18-month agenda planner for 2018 provides generous space for noting your plans and unleashing your creativity. No matter what season of life you’re in, prioritizing and planning helps make the most of your time. So go ahead and enjoy the journey…be organized with monthly and weekly spreads as well as full-year views, be creative with pages for doodling and expressing yourself, be inspired with encouraging content and Scripture verses, and be beautiful carrying this fashionable, inspirational agenda planner. A perfect gift for all occasions. Plant Therapy is my absolute favorite brand of essential oils. They are pure and safe and affordable. The thing I love the most about Plant Therapy is that they have a Facebook page to teach you all about how to use essential oils safely and how to make your own bath and body products at home. I love the tumbler, mug, and journal! Loving the faith-based encouragement on all of them. Thank you for sharing this! These are so cute! I know several ladies who’d like some of these items! Great! Glad I could offer some suggestions! Seriously!? I want some of these for me! I love this list! Thank you!!! Gifts is not even on the scale for my love language. I stink at it and a box of corn flakes is not totally out of the question! This really is helpful for someone like me that gets paralyzed at the thought of choosing a gift! Lol, a box of corn flakes…..i love it. I’m not the best gift giver either.